To help gamers prepare for BGG.CON 2013 — the game convention taking place Nov. 20-24 that's organized by BoardGameGeek for you and two thousand of your closest friends — I've pulled together this Geeklist to highlight what's available from exhibitors on hand at the con, which unpublished game designs you might encounter in Proto Alley and elsewhere, and how you can arrange play sessions with others who will be making the trek to Dallas, Texas. 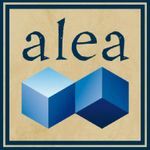 Convention co-organizer Jeff Anderson has posted the official schedule for BGG.CON 2012 in case you want to block out time for various events. Darrell Louder of Unpub.net is organizing Proto Alley for designers who want to show off and playtest early-stage games. 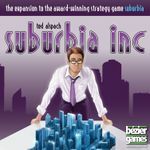 Brad Venable has posted a BGG.CON 2013 vendor list of his own, and some information about what exhibitors will have available comes from that list. For a map showing where exhibitors will be at BGG.CON 2013, head to this page in the BGG.CON wiki. Colossal Cave: The Board Game is an adaptation of the classic text adventure "Colossal Cave Adventure". The basic game mechanism is "draw one, play one"; there is also a game board depicting a simplified map of the cave (14 rooms). Cards represent items, treasures, actions, and "reactions"; you're generally not allowed to play an item or treasure card unless your player token is in a specific room on the map. For example, the Rare Coins are not playable anywhere except in the Hall of the Mountain King. After you play a treasure, you must get it safely back to the surface, where you can deposit it in the Well House. The winner is the first player to deposit three treasures in the Well House. Depending on the number of players and their willingness to stymie each other from the beginning, a game can last anywhere from 20 to 90 minutes. Other Information: • Available for demo at the Game Salute booth and for purchase from Funagain at BGG.CON 2013. In Pint Craft, you take on the role of a micro brewer as you create beers to please crowds and connoisseurs. The game incorporates elements of resource management and seasonality to generate variety. The wide variety of beer styles ensures that no two games are the same. Recipe Cards show the combination of Ingredients needed to produce it and the resulting number of Pints awarded. Recipe cards are always played face up. Brewery cards allow you to purchase Ingredients needed for Recipes. 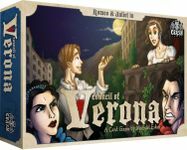 Action Cards affect the fortunes of other brewers in the game. Ingredients include Base Malts, Specialty Malts, and Hops as the standard Ingredients that make up most beer Recipes. There is an element of chance required to obtain Special Ingredients such as bacteria, spices, rice, and oats. Each round the season advances. Brewers with seasonal beers on tap get additional Ingredients to make new Recipes. Brewers earn Pints from recipes (between one and five pints) and some brewery cards. The number of Pints needed to win the game depends on the number of brewers. Other Information: • Available for demo games and for purchase at the Blue Panther Games booth at BGG.CON 2013. Set thousands of years in the future, the board game DarkStar is based on classics such as Dune, Cosmic Encounter, and Diplomacy. Strategically, DarkStar plays out something like Chess, although the game mechanisms are wildly different. Your key pieces are squadrons that you move around the board in stacks. The board itself being gridded into systems (where resources are located) and subsectors (empty space). Squadrons move from square-to-square on the board as in Chess. 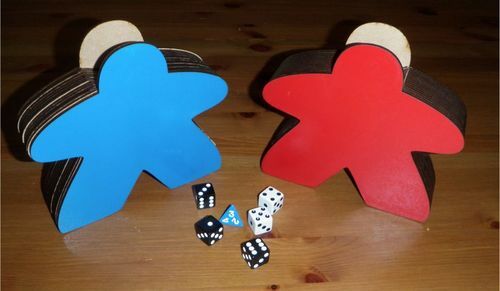 As the game proceeds, stargates twist space so that squares change their position relative to one another. Another big difference from Chess is that conflicts are resolved using tactical core cards that will feel to you more like rock-paper-scissors. Unlike in Chess, attacking pieces won't always win. Furthermore you will get free moves and other kinds of special actions through playing Imperial edict cards. 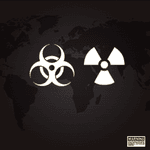 The most destructive force in the game are antimatter missiles. You build missiles in stages on your systems and launch them during your turn. These missiles are the reason why the goal of the game — collecting three different deep-defense codes — is so important. Missile detonations destroy everything in a square and even burn up the square itself so that nothing can enter it. Owning three colors of deep-defense codes makes some of your squares immune to antimatter detonations, upsetting the balance of power and giving you a chance to win. Other Information: • Available for demo games at the Print & Play Productions booth at BGG.CON 2013. 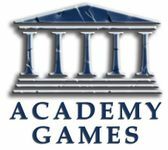 • In addition to what's below, at BGG.CON 2013 Academy Games (which is in the same booth as Mercury Games) will have for purchase the Conflict of Heroes line, 1775: Rebellion, and 1812: The Invasion of Canada. Other Information: • Available for demo games and for purchase at the Mercury Games booth at BGG.CON 2013. • In addition to what's listed below, at BGG.CON 2013 AEG will have more than a dozen other titles — including Trains, Card of the Dead and Agent Hunter — available for both demo games and for purchase. demos" with interested parties being asked to sign up at the AEG booth. Other Information: • Available for both demo games and for purchase at the AEG booth at BGG.CON 2013. The war for the eternal night rages around the world, and nowhere is it more bizarre than in the far east. A fully functional city in India nearly untouched by the Nightfall, uncontrolled ghouls from the seas, and strange happenings in the skies are only the beginning. Nightfall: Eastern Skies is a strategy deck-building game in which you take control of Hunters, Lycanthropes, Vampires, and Ghouls to take down your opponent. This set features the new Link mechanism allowing for faster play. Nightfall: Eastern Skies can be played on its own or combined with other Nightfall sets for enhanced play. Other Information: • Available for demo games at the AEG booth at BGG.CON 2013. • In addition to what's listed below, at BGG.CON 2013 Ravensburger will demo Las Vegas, Saint Malo and The Castles of Burgundy, with Funagain having copies available for purchase. Other Information: • Available for demo games at the Ravensburger booth at BGG.CON 2013, with Funagain having copies available for purchase. 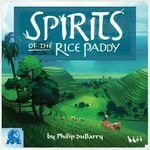 In Spirits of the Rice Paddy, players must compete with fellow rice farmers to construct and tend rice paddies. Oxen can build walls and remove large rocks. Ducks can be employed to eat harmful pests and fertilize the fledgling crops. Weeds must be kept at bay. Most importantly, water must be conserved and released with the greatest of care. With a little luck, all that back-breaking labor will pay off in the end. The good news is that the spirits are eager to assist, granting many special abilities, blessings, and magic. The farmer who produces the most rice over seven rounds wins the game. Other Information: • Available for demo games at the APE Games booth, according to designer Philip duBarry. Impulse is a quick-playing 4X (explore, expand, exploit, and exterminate) game set in space with the game board being composed of cards that have actions on them. Players also have cards in hand, and in addition to featuring one of ten possible actions, these cards have a color (red, yellow, blue or green) and a size (1, 2 or 3, as indicated by the number of icons on the card). Each card also has six edges, and these edges connect adjacent cards in the hex-shaped playing area. The cards in the playing area start face down, with each player controlling a card(their Home) on a corner of this area. Each player has two transport ships in the center of his Home card and a cruiser on an edge. Cruisers are used to patrol sectors of space and destroy opposing transports, while transports let you activate sectors that you enter. On a turn, a player adds a card to the Impulse from his hand, then (optionally) performs an action for a tech in his playing area, then (optionally) performs all the actions in the Impulse, then draws two cards and adds them to his hand. The Impulse is a line of cards shared by all players that changes turn by turn as players add cards to it and as cards fall off once it reaches maximum size. Thus, players need to feed the Impulse with actions that benefit them more than opponents, but that's easier said than done. When you perform actions – whether from moving transports to them or using the Impulse – you can boost them by having minerals of the same color or lots of transports. Each action has a single numeral on it, e.g., "Command  ship for one jump" or "Build  cruiser at home"; when you boost an action, you increase that numeral. Other Information: • Available in a pre-release print-on-demand version from Asmadi Games for pick-up at BGG.CON 2013 ahead of the game's release in early 2014. Other Information: • Available for demo games at the Asmodee booth during BGG.CON 2013. Other Information: • Available for demo games at the Asmodee stand at BGG.CON 2013. 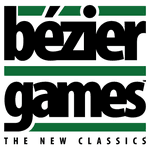 • In addition to what's below, at BGG.CON 2013 Bézier Games will be demonstrating and selling Ultimate Werewolf: Inquisition and selling both Suburbia and the entire Ultimate Werewolf line of games. Other Information: • Available for demo games and for purchase from Bézier Games at BGG.CON 2013. Join in the valiant battle to end the ultimate stalemate of good vs. evil and etch the final outcome into history. 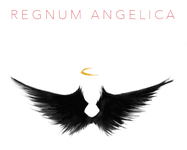 Regnum Angelica is a two-player strategic card/board game pitting Gabriel and his army of archangels against Beelzebub and the dark forces of the fallen. Wield the three elements of fire, earth and water in angelic combat, use ancient angelic scripts to gain an advantage over your opponent, or deploy pillars to protect your troops in an attempt to infiltrate the enemy's realm. Regnum Angelica is played with one player having the white deck to represent the archangels of Gabriel, and the other the black deck to represent Beelzebub and his army of fallen angels. Each deck consists of three types of cards: Angels, which are your main combat units; Angelic Scripts, written in the ancient celestial alphabet (Malachim) and granting the angels special abilities to assist them in infiltrating the enemy realm; and Pillars, which call up the elements of earth, fire, or water to protect them from enemy attacks. Each army has a power meter which is charged when either side's angels visit earth. The power meter must be carefully managed if you hope to crush your opponent as your power meter determines your movement and your ability to execute the Malachim. If too many Angelic scripts are played, then your mobility on the board suffers; if, on the other hand, you use your power for movement, then your ability to harness the powers of the angelic scripts wanes. Mobility or Angelic Scripts? Have your angels protect your realm, or go on the full offensive to penetrate your enemies kingdom? Execute your scripts now, burn them for precious power, or save them to use with other scripts to pull off powerful combinations? Many of these tactical decisions await you as you control the most powerful beings in the universe of Regnum Angelica! 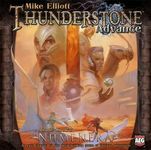 Other Information: • As noted in this Geeklist comment co-designer Casey Willett: "We plan on having two demo copies available, and our staff of four will be there from open to close everyday of the con. We want to make sure that everyone has a chance to play who is interested in Kingdom!" • In addition to what's listed below, at BGG.CON 2013 Blue Panther Games will have a new line of fully-assembled hex dice trays — available in birch and walnut color — for sale at its booth. 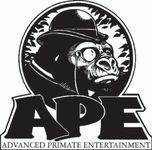 • On top of that, Blue Panther's Steve Jones says that he'll be unveiling a new line of products at the con, with samples on display and some items for sale. Says Jones, "All I can say at this point is that meeples and dice towers have spent too long alone and apart, staring at each other across the gaming table, never to be together..."
Aloha: The Spirit of Hawaii is about the story of Hawaii from the Polynesian migrations all the way through its journey to U.S. statehood in 1959. It's a game in which the theme and the mechanisms of play really tie together. You will guide your Pure Hawaiians, emigrating and settling in the Prologue. In the three main chapters of the game, you will migrate from island to island, vying for control of the islands and their resources such as commerce, aloha and people. You will be able to play event cards based on the history of the islands, and you will elect chiefs and kings and a even a queen. Between chapters you will score victory points and generate the actions necessary for success in the next chapter. In the Epilogue, all of your planning will come to fruition as you try to become elected governor, the most valuable position in the game. The game takes 10-15 minutes to learn, and 60-90 minutes to play. It is recommended for ages 10 and higher. 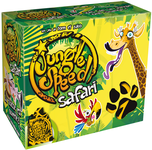 It plays well for 2,3 or 4 players due to the scaling of the scoring – to keep all the games tight and fast paced. The theme is inviting and a great experience for hobby gamers and those just getting into euro-style games. Other Information: • Available for demo games from co-designer Norv Brooks, and available for purchase as well. 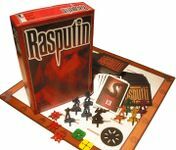 In the game of Rasputin, players take the roles of assassins tasked with infiltrating the Winter Palace and killing history's most unkillable man - Grigori Yefimovich Rasputin. While all players share the same target, this is not a cooperative game and your opponents will prove to be an even greater threat than Rasputin’s personal guards. Other Information: • Available for demo games or for purchase from Blue Panther Games, with the official release date in January 2014. 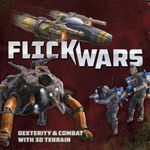 Flick Wars is a strategy and tactics dexterity game with six factions that range from humans to mechs to alien races. Each faction has a unique set of units. The goal of the game is to eliminate all of the enemy units. The advanced game has specific scenarios and a new game play option which focuses on objective control. Units are discs with a picture representing the type of unit on it. Moving and attacking are both flicks. To move, you just flick your disc; to attack, you need to be in range. When you make a successful attack flick, the target unit flips over and is another obstacle. • In addition to what's listed below, at BGG.CON 2013 Grant Dalgliesh's Columbia Games says that he'll be demonstrating the latest edition of Slapshot (and its iOS app), Texas Glory: 1835-36, and the rest of the Columbia Games line of wargames. Says Dalgliesh, "Look for me at the Columbia Games booth, wearing a referee's jersey! 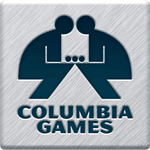 Columbia Games will be on sale at the show for up to 25% off retail." Map board: Full-color (22" x 25") mapboard of Scotland and Northern England with heraldry of the important noble families. Wooden Blocks (24mm): 56 Hardwood counters including leaders, nobles, archers, knights, and infantry. Two Scenarios: A campaign game plus two scenarios: Braveheart and The Bruce. Playable History: Hammer of the Scots is a very playable game. The rulebook is 8 pages. Games last from 2-4 hours. Other Information: • Available for demo games and for purchase at the Columbia Games booth at BGG.CON 2013. Board Game Publisher: Conquistador Games, Inc.
• In addition to what's listed below, at BGG.CON 2013 Conquistador Games will have Road to Enlightenment for sale and The New Science both for demo and for sale. Other Information: • Available for demo games and for purchase from Conquistador Games at BGG.CON 2013. • In addition to what's listed below, at BGG.CON 2013 Crash Games will be selling Rise! and The Lost Dutchman, with a promo being available for this latter title. 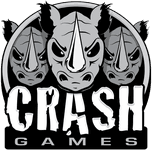 • Crash Games' Patrick Nickell adds, "I'm running a couple of promotions at my booth this year with the biggest one being a daily Geek Swag Giveaway and a Grand Prize on Sunday that includes a stack of games and $100. All people who purchase a game are eligible to win both a daily prize and the Grand Prize." 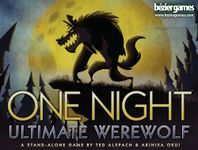 Other Information: • Available for purchase at BGG.CON 2013 from Crash Games. Promos are available for this title.